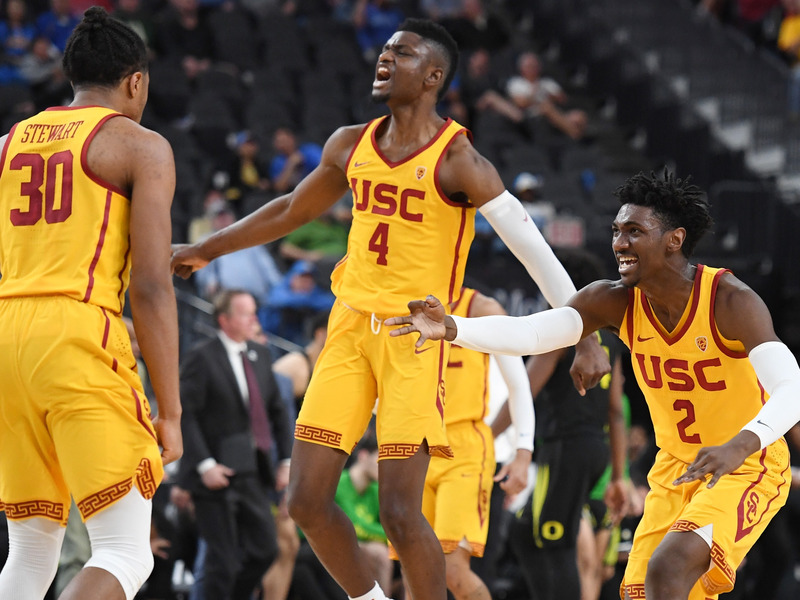 Ethan Miller/Getty ImagesMost college basketball writers and analysts believe USC’s on-court performance merited a spot in the tournament. A few of the most controversial snubs from this year’s NCAA tournament were connected to the FBI probe into corruption in college basketball. The NCAA selection committee head has denied the investigation played any role in the committee’s decisions. There were some pretty controversial snubs in this year’s NCAA Tournament bracket, and now there’s speculation that schools like the University of Southern California and Oklahoma State were left out of the tournament because of their links to a major FBI investigation into corruption in college basketball. Notably, Yahoo Sports columnist Pat Forde, who helped break the story of the scandal, made this connection on Twitter. Louisville out. USC out. Oklahoma State out. What do they have in common? Part of the federal investigation of college hoops. The NCAA selection committee chairman Bruce Rasmussen, for his part, has denied that the FBI probe had any impact on the committee’s decisions, per Jeff Goodman of ESPN. While other teams linked to the investigation did get invited (e.g. Miami), it is eyebrow-raising that the teams on the bubble were snubbed. The FBI probe into college basketball looks like the beginning of a major scandal in the sport, one that has certainly cast a pall over this season and has already cost Louisville head coach Rick Pitino his job, as well as a national title.